Which furnace and air conditioner should I buy? 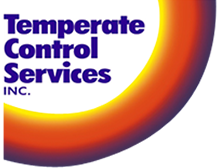 Temperate Control Services offers a variety of Carrier heating and cooling systems, some models with variable-speed technology. These ultra-quiet and ultra-efficient systems provide stabilized temperature and comfort levels, while operating at slower speeds to use less energy. Which furnace filter to use? There can be big impact even in little things, and finding the right furnace filter can not only save money, but also improve air quality. Overly dense or dirty furnace filters can slow airflow too much, but low-efficiency filters don’t filter dust very well. All filters are rated for efficiency by a MERV rating from 1 to 16. The higher the number, the more efficient the filter. It is essential to get a better understanding of the issues and learn how to find the right filter for your furnace. Standard Throw Away Filters – Are the least expensive filters, but can only stop the largest of dust particles, allowing most dirt to travel right through. Disposable Pleated – Slightly more expensive of an option, but more popular, they are made from pleated polyester or cotton paper. They remove some small particles like spores and mites, but can add more resistance to the air flow. These filters usually needs to be changed more frequently to avoid clogging and taxing your HVAC system. Pleated filters often come in thicker sizes with more filter area to compensate. Disposable Electrostatic – The most expensive disposable filter, they contains self-charging electrostatic cotton or paper fibres that attract and trap small particles. Permanent Electrostatic – Similar to their disposable brethren, these contain self-charging cotton fibers that attract particles. Permanent options are removable and washable filters that can last six to eight years. Electronic Air Cleaners – Are an older technology that can be fairly effective, but are costly to maintain and emit ozone gas (which is known to be harmful) into your home. Electronic Air Purifiers – Such as the Carrier Infinity Air Purifier is a newer technology filter that features a capture and kill technology that has a 99% germicidal effectiveness, a MERV 15 rating and operate in silence. Which furnace is the most quiet? Carrier Infinity Series Furnaces are one of the quietest gas furnaces you can buy. That means you can enjoy warm, winter heating at a sound level somewhere between a conversation and a whisper (but closer to a whisper), thanks to variable-speed components, intelligent operation and insulated cabinet. Which furnace humidifier to buy? Humidifiers have evolved over the years. The drum style with crusty pads and slimy water pans are a thing of the past. Todays humidifiers feature a flow thru design where the water tricles down a metal mesh with the excess higher mineral content water going down the drain. The result is cleaner, low maintenance humidifiers that are no longer a breeding ground for bacteria. Carrier produces a complete line of flow through, fan assisted, and steam humidifiers. Which furnace is the quietest? Home furnaces are quieter than ever utilizing variable capacity burners. ECM and variable speed blowers also contribute to quieter operation while producing increased airflow. Furnaces that run at lower speed and capacity are quieter, more efficient, and produce a higher comfort level. Carrier Infinity Series Furnaces are one of the quietest gas furnaces you can buy. That means you can enjoy warm, winter heating at a sound level somewhere between a conversation and a whisper (but closer to a whisper), thanks to variable-speed components, intelligent operation and insulated cabinet. Which furnace air filter is best? Furnace filters are rated using the minimum efficiency reporting value “MERV”. MERV ratings range from 1 to 16. The higher the rating the more smaller particles the filter can remove. While using the most efficient filter is important, high efficiency filters can restrict airflow. It is essential to use a filter with sufficient surface area, and to your replace filter when it gets dirty. Which furnace is best for high efficiency? While there are many brands of furnaces available, top names like Carrier are the leaders in efficiency and comfort. Furnace technology and options have grown so rapidly the process of choosing the proper furnace for your home can be overwhelming so ask the professionals specific questions on the needs of your home. Which furnace humidifier is best? Humidifiers are available in different sizes and types. It is essential t make sure you are getting a unit that will work well for the size of your home to maintain the ideal humidity level of 30 – 60 % relative humidity. Temperate Control Services can assist you in choosing the best Carrier humidifier for your home. Which furnace filter should I buy? While there are many types and brands of furnace filters available, the most important factors are the MERV rating and ensuring the size is correct for you filter rack. Low MERV rating filters will allow most dust and dirt to right pass through, and improperly sized filters may allow unfiltered air to bypass and be distributed back into your home. Which furnace filter should I use? During cold weather, many people think of the furnace as a valuable home heating appliance. It is should also be an effective air cleaner, but that partly depends on your choice of filters. Basic furnace air filters prevent large particles from gradually clogging up and impairing the home heating and air conditioning system. Advanced filters protect both the furnace as well as your household’s respiratory health. Filters with high MERV ratings will give superior air filtration. There are different “types” of furnaces available, with features to satisfy different budgets and home configurations. A top of the line furnace has both a modulating capacity burner and a variable speed blower. Furnace burners can be single stage, two stage, or modulating capacity. The dual stage and modulating capacity furnaces have superior temperature control, comfort levels and energy efficiency. They are usually somewhat higher in price but can provide a payback from the savings in on energy bills. Which furnace has the best warranty? Most manufacturers offer a 5 year parts warranty and 20 years on the heat exchanger. Carrier Infinity furnaces have a ten year part warranty and a limited lifetime heat exchanger warranty. While proper maintenance is vital, experts say a furnace that is less than 10 years old doesn’t need third party repair coverage as the factory warranties are sufficient most of the time. Natural gas furnaces are generally the most efficient and cost-effective type of home heating today. Efficiency ratings have improved considerably in recent years and prices have come down as well, allowing for lower year-round heating costs for the average homeowner. Carrier Infinity furnaces lead the industry in efficiency and comfort. These furnace can run on propane, although it is not as cost effective as natural gas. Alternatives such as heat pumps have come a long way too. They are a great choice for locations where natural gas is not available. Ground source heat pumps while quite efficient are the most expensive to install and have a lengthy return on investment. Today’s air source heat pumps have shown efficiencies near ground source without the extreme investment. This technology is proving to be adequate even with our cold Canadian winters. Carrier’s GreenSpeed heat pumps are often eligible for rebates from your utility supplier. Which furnace filter should I get? Disposable filter brands are numerous. The brand name is not as important as the efficiency rating. The efficiency (or how well it traps the dust, pollen, spores, etc.) is rated as a MERV number from 1 to 16. The higher the number, the better the filter. Choosing the right filter will help keep your home clean, and improve the air you breath. When to change a furnace filter? The time frame your furnace filters are supposed to last can vary drastically. Checking them frequently will help homeowners know how often they need to replace them. While people may find some filters last up to three months, they need to realize this only applies with normal usage and in homes without pets. Numerous factors affect filter life such as home size, home location, how much you run your furnace fan, how many people (and pets) live in the home, filter size, and filter type. The more efficient the filter, the more dirt it will collect, and the faster it plug up. But this is actually a good thing- this dirt would otherwise be in your home and your lungs. Purchasing good quality filters and changing them regularly is an investment in your health. It is recommended to check your filters monthly and change them if they look dirty regardless of how long they have been in use. What to do when your furnace stops? Check your vent pipes. Look outside to make sure that nothing is blocking the fresh air in-take and the exhaust. Many newer modern furnaces have their fresh air intakes and exhausts run through the side of the home. Sometimes windblown leaves, insects, snow, ice crystals and moisture can block these pipes and plague heating systems. Keeping these pipes clear is vital to the operation of your furnace. If the system has power and all looks normal, consult a licensed technician about possible solutions. Check your electrical breaker. Verify that the breaker in your electrical panel that feeds your furnace has not tripped for some unknown reason. If it has tripped, try resetting it. If it trips again you may want to call a professional. Check the wall mounted power switch. Today’s electrical code calls for installation of a power switch between the entrance of the furnace room (or area) and the location of the furnace for safety reasons. It is quite common for people to unknowingly shut off this switch mistaking it for a light switch. Verifying that it is in the ON position could save you a service call. Check that the furnace panels are in place properly. Most furnaces have a safety switch built in that will shut the furnace off if the panels are removed. This is a safety device to prevent injury. If the panels are not positioned and latched properly, the furnace will remain inoperable. Check the gas shut off valve. All gas appliances are required to have an accessible manual shut off valve near the appliance. Verify that the handle is in the same direction as the gas line. In case it was shut off inadvertently return it to the on position, verify you do not smell gas, cycle the power off to the furnace, and operation should resume. The average life expectancy of furnaces in homes today is between 16 and 20 years. If your furnace is close to this age or older, you have had problems with it, or you are concerned about excess energy consumption, you should begin shopping. Shopping for a replacement furnace in an emergency does not allow time to make your best decision. There are many furnace makes out there, but they are not created equally. The price of a new furnace does not reflect its value. Researching contractor, the manufacture, their reputation, and the features that will satisfy your requirements will help to choose which furnace will provide the best value. The lowest price is usually the lowest for a reason! What should I do if my furnace is not working? First, make sure your furnace is getting power. Check your electrical box for any tripped circuit breakers and reset with caution as this could indicate a bigger problem with your furnace or electrical system. Ensure that the furnace power switch has been switched “On.” Since furnaces can be tucked into tight, confining spaces or closets, the switched can be accidentally switched “off” easily. Verify that the front panel(s) of your furnace are in place and properly fastened. A safety switch mounted behind them will disable your furnace if the panels are not in place. Ensure that the gas is turned on with the handle in a position parallel to the gas pipe. Check the outside exhaust and intake pipes to ensure they are not restricted with dirt, debris, insects, snow, or any other foreign thing. If none of these things restore operation of your furnace, you may need the assistance of a reputable and licenced gas technician. It is not advisable or legal to repair a gas appliance without certification. What BTU furnace do I need? The heating capacity of a furnace is measured in thousands of BTU (British Thermal Units). The amount of fuel energy consumed when running is called ‘input BTU’, while the actual heating capacity is called ‘output BTU’. The difference between the two is the efficiency. Common sense tells us that the more rooms we have to heat, the more powerful our furnace will need to be. But there’s much more to the science of furnace sizing than that. The calculation involves many factors, including doors, windows, location, construction material, insulation levels and more. Every home is different. A heat load calculation performed by a professional is the only way to determine you homes heat loss. The idea that bigger is better is a thing of the past. In order to obtain optimal comfort and efficiencies, your furnace should be sized properly for your home. If you buy a furnace that’s too big, the furnace will turn on and off too frequently (short-cycling) sacrificing comfort, losing efficiency and potentially damaging the unit. If it’s too small, your furnace will run continuously, and your home will not feel heated sufficiently. A properly sized furnace should run for about 40 minutes every hour on the coldest day of the year. Many furnaces today have multi or variable stage burners, which result in longer run times but increased comfort and efficiency. A heat load calculation is detrimental in determining the proper size furnace for any home. How to replace a furnace filter? Replacing a furnace filter is usually a pretty simple task, once you know what you’re doing. There are major issues to pay attention to, for example buying the wrong size furnace filter or putting it in backwards. Doing this incorrectly, you could end up bypassing the flow of air instead of cleaning it. Here’s how to do the job easily. First shut off the power to your furnace. Remove the panel enclosing the filter (usually located inside the furnace or inside the return air duct near the furnace). Slide the old filter out towards you. Look for an arrow on the old filter indicating airflow direction. Using a permanent marker, draw the airflow direction on the outside of the filter cover, so you’ll always know the right way to install the filter. This arrow should be pointing toward the furnace, which is the direction of the airflow. It is a good idea to also mark the filter size, which will be printed on the cardboard frame. Then to install the new filter; look for the markings that tell you the direction of airflow, and slide it in with the arrow facing the furnace (as previously marked). Once you slide the filter back into place reinstall the cover that was removed and refasten it. It is a good idea to keep a record of the date so that you’ll know when it’s time to change the furnace filter again. It never hurts to keep a spare filter nearby.